Be it a family celebration, wedding, business event or social gathering, our private dining room, ‘the Pike Room’, provides the perfect intimate, sumptuous & unique setting. 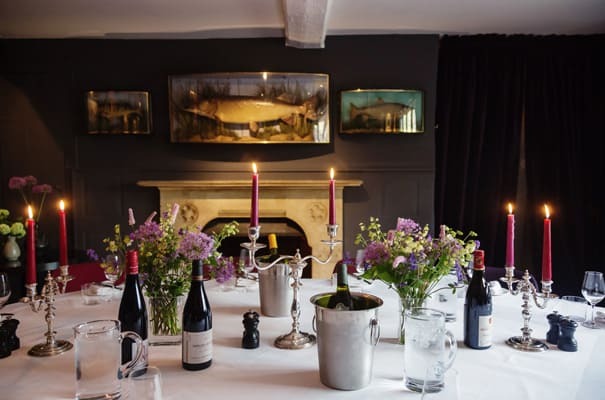 With its original stone fireplace, lattice windows & walls adorned with a carefully curated selection of oil paintings, the room retains the same Bloomsbury club ambience of the restaurant & bar, but with a private country house feel. Choose from our specially selected & impeccably presented seasonal British dishes, & enjoy drinks & canapes in the stylish bar or within the beautiful surroundings of our secluded walled terrace. "...every course met with the fullest approval of the party, and particular praise should go to the staff..."